As a central element of the mechanism, this component requires a particularly high level of accuracy and precision in its complexity. We can guarantee this with the latest machinery and highly-developed technologies. Our movement is equipped with a second stop. This stops the watch when the crown is pulled out to set the time. 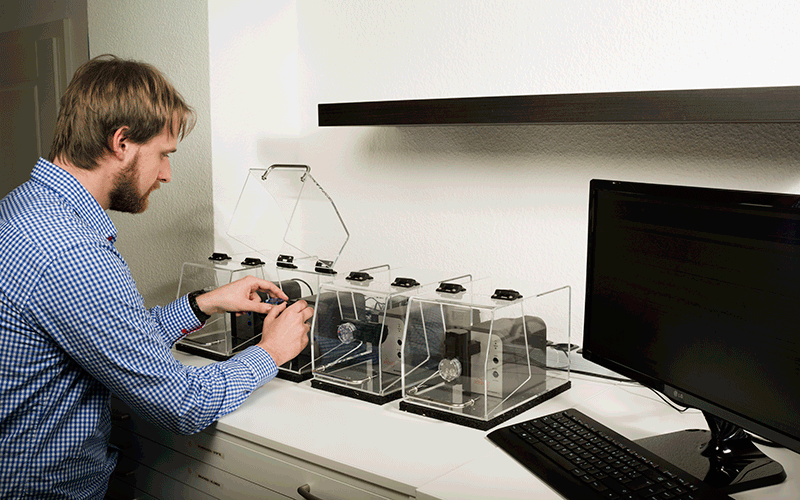 This spring ensures that the watch will continue to run correctly after the time has been set. On their way to becoming masterpieces, UWD’s clockwork movement parts go through two major stages – pre-assembly and final assembly. During pre-assembly, the complex mechanisms of the overall movement are perfectly tuned to each other. 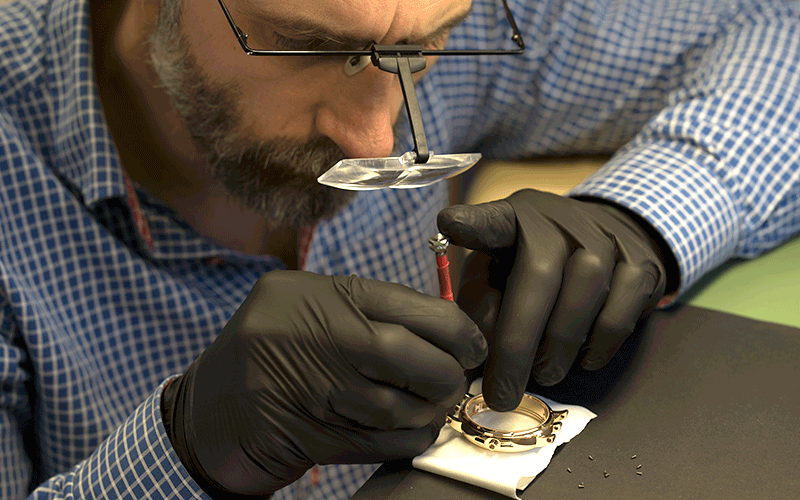 Once our high quality standards have been met, the movements are completely dismantled again to allow the delicate components to be cleaned and to be finished to a high quality with fine patterning, engraving or polishing. 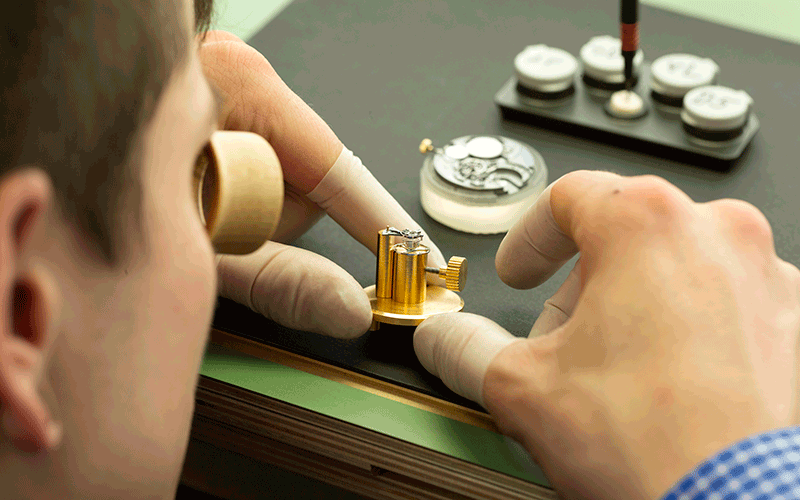 Once the filigree parts have been turned into aesthetic masterpieces in the Finishing department, the calibre is reassembled. The parts are pre-sorted into assembly kits and fitted as subassemblies. Running precision and running behaviour are checked and adjusted as early as in final assembly. The fully-assembled movement is passed to the experts of Fine Adjustment and adjusted in five stations. In the end, we deliver to the customer a small masterpiece that can be immediately encased without further processing. In order to deal with the special requirements of our customers, we offer them various options for adapting the movement to their own particular and exclusive needs. Our movements are meticulously finished to customers’ wishes with the bevelling of edges, polishing of surfaces and application of various patterns such as a sunburst pattern or circular pattern. The most varied electroplated surfaces are possible if desired by the customer. Besides traditional gold plating we offer other electroplating options. 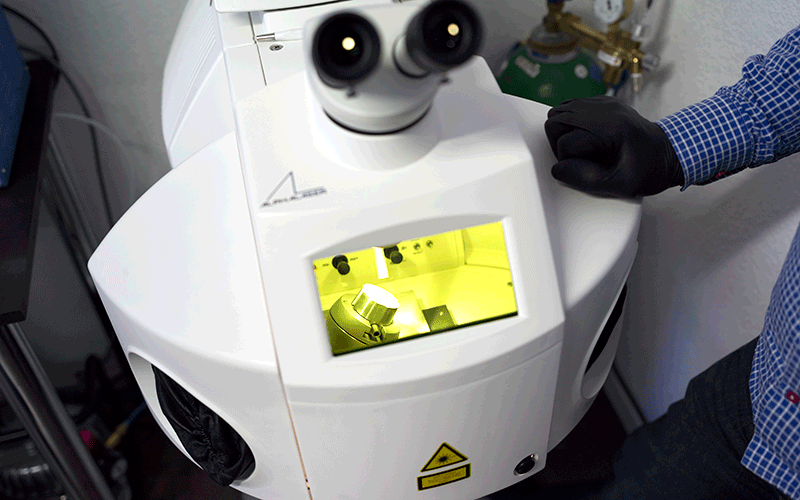 We are able to offer our customers diverse opportunities to refining high-quality surface. 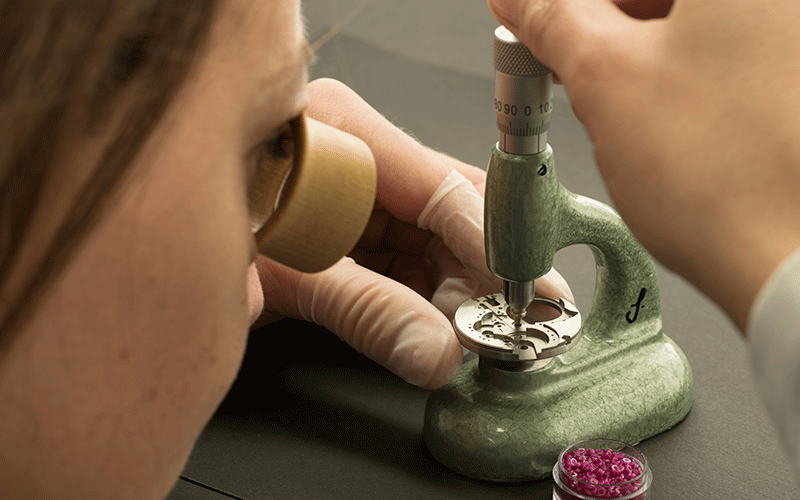 For example: exclusive grindings, engravings, gilding or other electroplating options.